Fancy getting your kids hooked on science – and having fun at the same time? 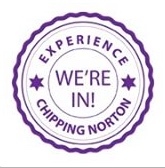 A special term-time workshop series starts on 25th February at Chipping Norton Theatre. It’s run by Sue Priest and her ScienceClubz. Children as young as two years old can join in. Older children’s imaginations are sparked through unusual approaches, topics and storylines which introduce basic scientific principles. The taster workshops, run earlier in Feb, were “Can we Power Spaceships with Poo?” which took children on a journey of discovery from sustainable energy to the challenges of space travel, and “How do Fish Breathe Under Water?” which brought kids up close and personal with a real mackerel. For the youngest children, the workshops focus on key principles of the weekly theme, such as magnetism, and provides opportunities for exploration through role-play, games and experimentation. Workshops for ages 5-8 and 8-11 are mapped to the National Curriculum for Science, with detailed lesson plans, homework challenges and parental summary sheets. Workshops last 45 minutes, 10 places per workshop, £10 per workshop.